This listing includes the original game CD. The box is pictured for reference and is not included. I will also provide a compatibility CD that will allow the game to run under ALL VERSIONS of Windows 10, 8, 7, Vista and XP, both 32 and 64 bit. The game supports full mouse control and mouselook. 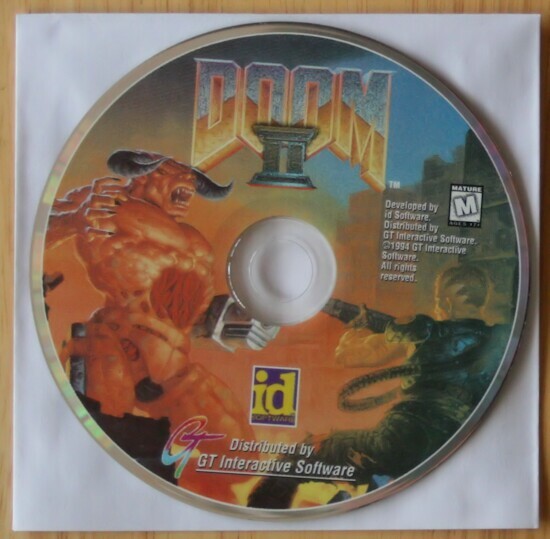 Doom II requires no introduction. It's predecessor was ballyhooed almost a year prior to it's release, and exceeded anyone's expectations. 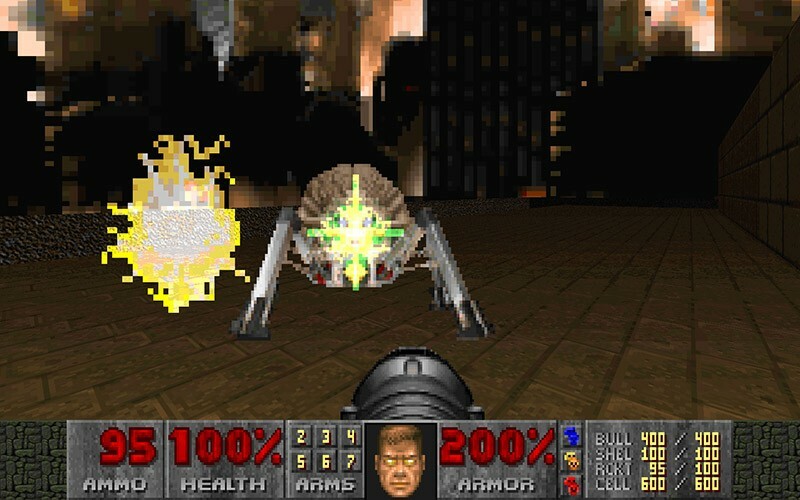 Doom was the largest reason for loss of productivity on networked machines in the United States. No one had seen anything remotely like this before and the sequel was eagerly awaited. 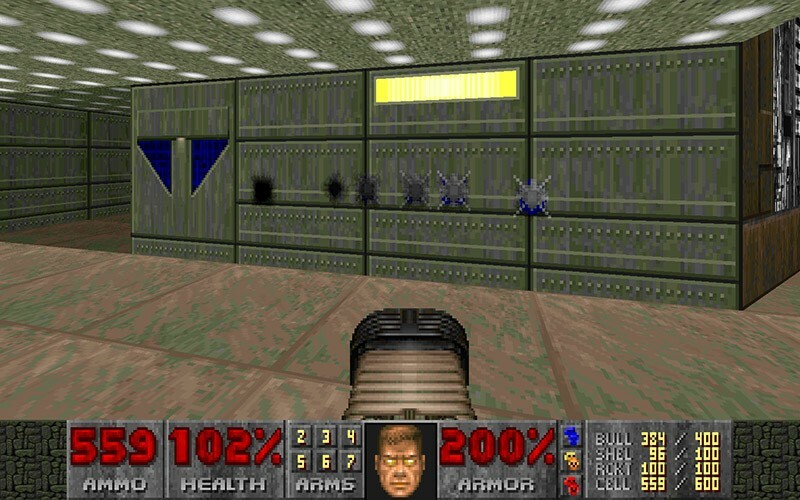 As for the game itself, the premise is that the player is continuing on from the last episode of Doom (Inferno) and is fighting evil on earth itself. The goal is to get to the last level to "flip the switch" which should banish this hellish horde back to whence it came. Many new monsters (like the one that shoot lost souls at you) fill out the thirty levels. The individual levels are thought out much better (I love the level which you drop through the floor to get to the next level), and the textures are used to full advantage. One item seen throughout the game is that the lighting is a lot more dim. You can use the gamma correction key (or even the light-amp cheat key sequence) to help, but I feel that it does detract from the game a bit. All but one of the key cheats that were found in the original are intact. Also, you get a new "super" shotgun that does a great deal of damage at the cost of additional shells. All of the thirty levels (plus two secret levels) have great designs. Some worried that the plethora of add-on levels available for Doom would decrease the value of Doom II; they were wrong. Doom II's levels are extremely well designed; it is obvious that id spent a lot of time on them. The graphics are defined and colorful. Some of the most notable are the new outdoor and sky scenes. One of my favorites is the city in the background which was breathtaking given the technology of the mid 90s. The new textures and enemy graphics really give a whole new feel to the game. All of the new enemies look even more realistic than the old enemies did in Doom. Snarl. Growl. Grrrr. Scream. All of these sounds were trademarks of Doom. Who could forget the Marine's scream at his death, or the Imps' growl that always made you jump? Doom II added more of these great effects. The snarls are scarier, the growls more realistic, and the screams more frightening. I almost wonder if id did some sound sampling at P.O.W. torture camps. The music is what really pushed me over the edge. Ominous and thrilling are really the best two descriptions for it.